He started playing indoor football in his hometown at the age of three. Soon, his ability became known all around the south Brazilian state of Paraná for being a skillful and talented goal scorer and, after being praised by many of his managers, the teenager went to Porto Alegre, Rio Grande do Sul, to try out forGrêmio. He was turned away by Grêmio, the club whom he had supported since a boy – but local rivals Internacional convinced him to play for them. Despite the two clubs being bitter enemies, Pato’s parents convinced their youngster to switch his allegiance. In June 2006, at only 16 years of age, Pato was signed by Sport Club Internacional to compete in the Campeonato Brasileiro Sub-20. Despite the fact that he was competing against players up to four years older than him, Pato became top scorer of the competition as Internacional Sub-20 defeated Grêmio4–0. Ready to join the Inter first team in November that same year, his debut finally happened at theEstádio Palestra Itália against São Paulo giantsPalmeiras for the Campeonato Brasileiro. Alexandre Pato met and surpassed any and all expectations of what was expected of him as he scored his first professional goal within the first minute of the game. The rest of his participation was spent dribbling and confusing defenders as he made two assists (and almost scoring another himself) to help Internacional rout Palmeiras 4–1. He was substituted off in the 77th minute. 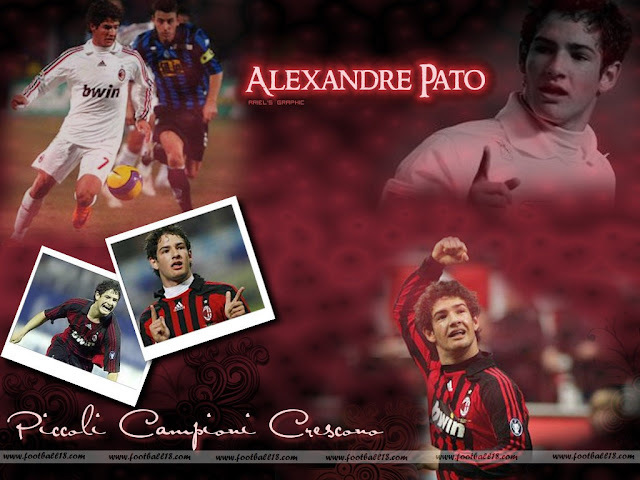 Pato was included in the Internacional squad that won the 2006 FIFA Club World Cup. 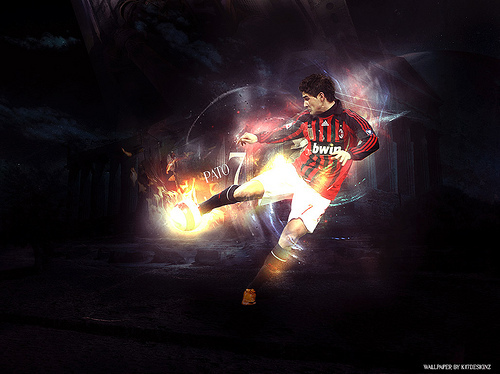 During this event, Pato broke Pelé's long standing record as he became the youngest ever player to score in a FIFA organised competition at the age of 17 years and 102 days old against African club champions Al-Ahly. Pelé was 17 years and 239 days old when he scored against Walesduring the 1958 FIFA World Cup. Keeping up with his promising figure, Pato debuted at the Campeonato Gaúcho on February 24 againstVeranópolis and scored a goal in the 2–1 victory. He also debuted in Copa Libertadores on February 28 against Emelec of Ecuador (also his first game at Beira-Rio) and scored once during the 3–0 thumping. But the biggest highlight of Pato's time with Internacional was during the Recopa Sudamericana as he helped Internacional win their first ever title. Against Pachuca of Mexico, he scored one goal in the 2–1 defeat in Mexico. But on the return game on June 7 and with more than fifty-one thousand Coloradospresent, Pato had a luxurious performance as he scored once and led the 4–0 thrashing to win Internacional's third international title. 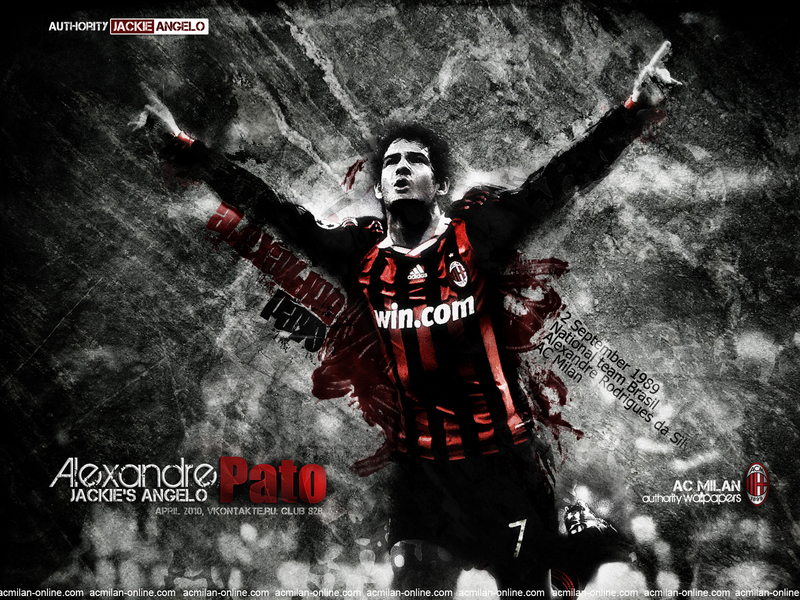 Incumbent European champions A.C. Milan officially confirmed the signing of Pato on 2 August 2007,paying €22 million to transfer his contract from Internacional Due to FIFA football regulations regarding non-EU minors, Pato was unable to play official matches for Milan until 3 January 2008, when the Italian transfer window and registration reopened.However, Milan was allowed to include the player in friendlies and training beginning 3 September 2007, one day after his 18th birthday. 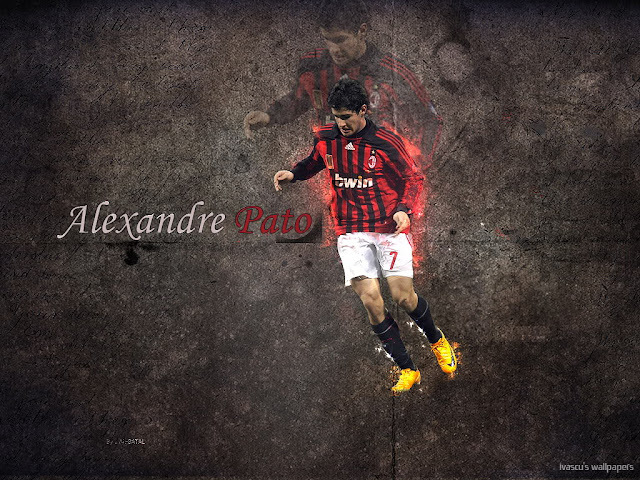 Pato made his non-competitive debut in a 2–2 draw against Dynamo Kiev on 7 September 2007 and scored a header. 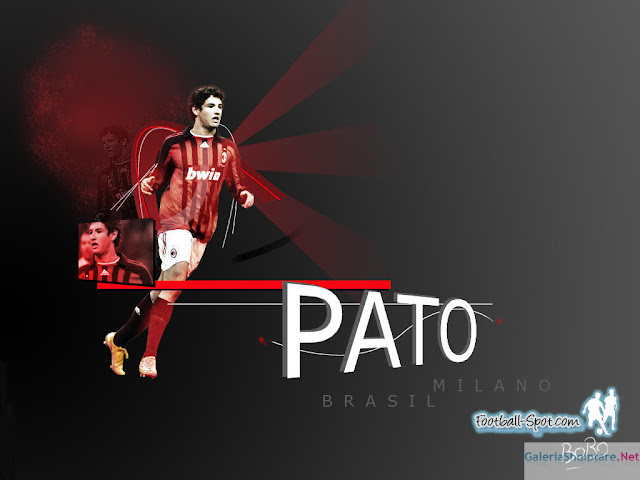 On 4 January 2008, Pato's transfer to Milan became official. On 22 August 2009, in the first Serie A match of the2009/2010 season, Pato scored a goal in each half during the 2–1 win against Siena. 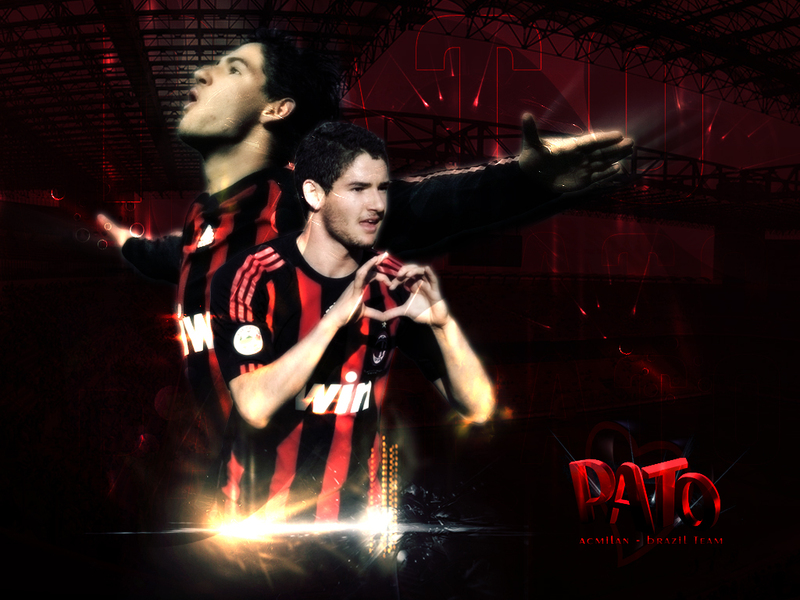 Around two months later, on 21 October 2009, during matchday 3 of the Champions league group stage, Pato scored 2 second half goals in a 3–2 win against Real Madrid at theBernabéu. He has since played at the right wing in a 4–3–3 formation. 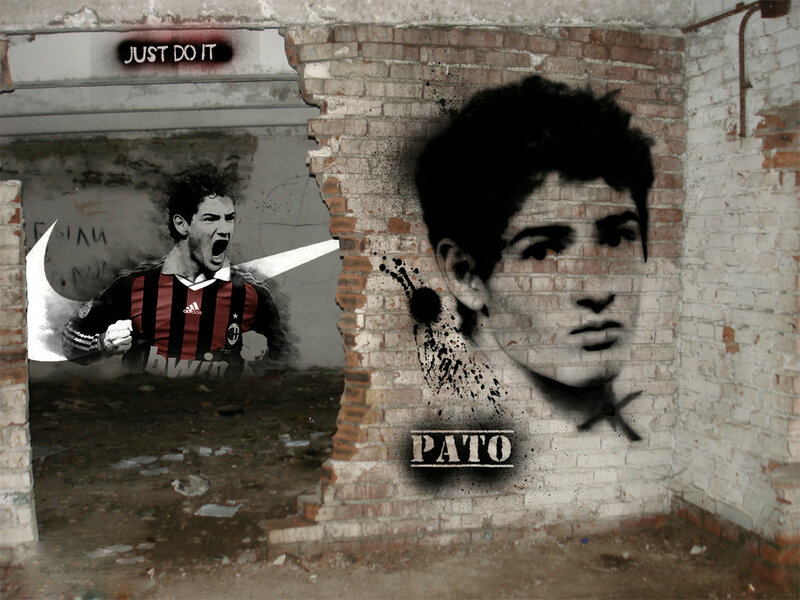 On 18 January 2010, Pato was awarded the 2009 Serie A Young Footballer of the Year award at the Oscar del Calcio ceremony becoming the first Brazilian to be awarded with the title. 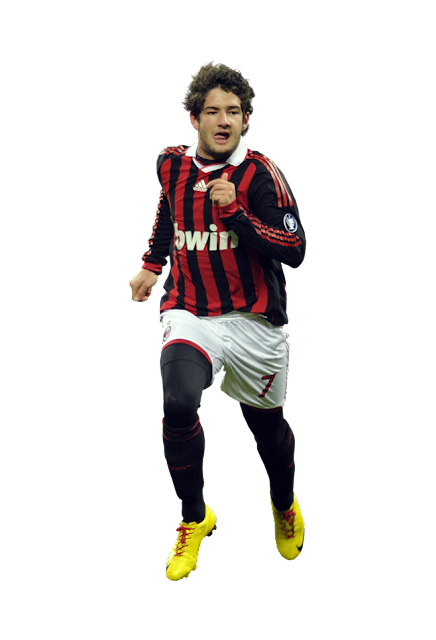 On his return to the team from injury , Pato scored a goal in each of Milan's next three games against Udinese,Bari, and Fiorentina. On February 28, he scored a brace in the first half at the San Siro, helping Milan beat Atalanta 3–1 but coming off halfway through the second half due to a hamstring injury. This injury forced him to miss two crucial trips to Roma andManchester United. To conclude Pato's season, he injured the same muscle again shortly after returning and was forced to miss the rest of the season, playing only 20 games due to constant injuries. In the first match of the season against Lecce, he scored 2 goals in Milan's 4-0 win. However, he found himself on the treatment table just after his first 2 matches of the season which ruled him out for the next 3 matches. In his next full match after his injury, he scored twice against Chievo at the San Siro, returning to his position as a striker in a 4-3-1-2 formation. He then scored once again against Bari in San Nicola. After a string of great performances, Pato injured his hamstring for the third time in less than a year. This injury ruled him out for six weeks. 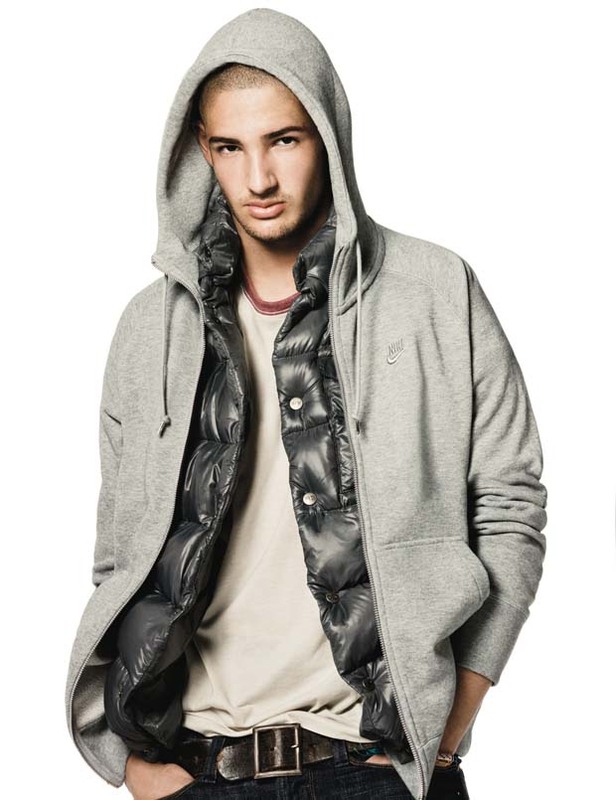 After gaining prominence at club level, Pato was called up for the youth teams of Brazil. He helped Brazil win the 2007 South American Youth Championship, which qualified the country for the 2007 FIFA U-20 World Cup, and was selected by Brazil coach Dunga for the2008 Summer Olympics. 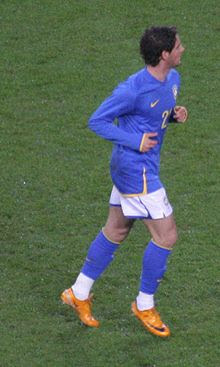 He scored his first goal for the senior Brazilian team on his debut against Swedenat the Emirates Stadium in England on 26 March 2008, beating Pelé's record of scoring a goal within seconds of his full international debut.He was not called by Dunga to play the 2010 World Cup, but was called up for Brazil's 2-0 friendly win over the United States where he scored the second goal. He scored the second goal in Brazil's 3-0 win against Iran on 7 October 2010. Patos success in the Brazil national team continued as he again scored in a friendly match against Ukraine where they won 2-0. Since 2007, Pato had been engaged to Brazilian actress Sthefany Brito. They mutually split up in January 2009 due to their inability to keep a long-distance relationship.However, they got back together, and on 7 July 2009, they married in a ceremony at the Copacabana Palace in Rio de Janeiro.However, the marriage lasted less than ten months, and the couple divorced on 21 April 2010, with Brito citing Pato's constant partying as the reason for their split.